Storytelling is the oldest form of communicating one's lived experience of a particular time, sharing personal values and lessons learned to preserve and celebrate cultural heritage and history. 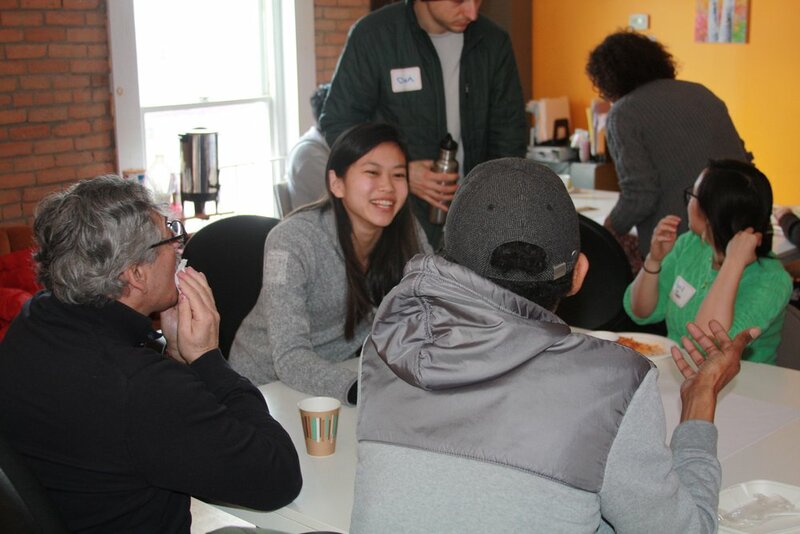 The Community Voices project is a collective effort of the Multicultural Resource Center, Ithaca Asian American Association, Public Service Center, AlHuda Islamic Center of the Fingerlakes, Latino Civic Association, and the History Center of Tompkins County. This project connects college students with local community residents to tell their stories. The experiences of those involved are presented in short digital stories, for reflection not only by those involved but by all others interested--locally, nationally, and globally. This project seeks to collect, document, and archive the living experience of immigrants, refugees, and political asylees in the Tompkins County area. Through an exploration of many experiences, the project seeks to gain a better understanding of U.S. history and policies regarding immigration and provide those involved with a better understanding of our increasingly diverse and globalized society. 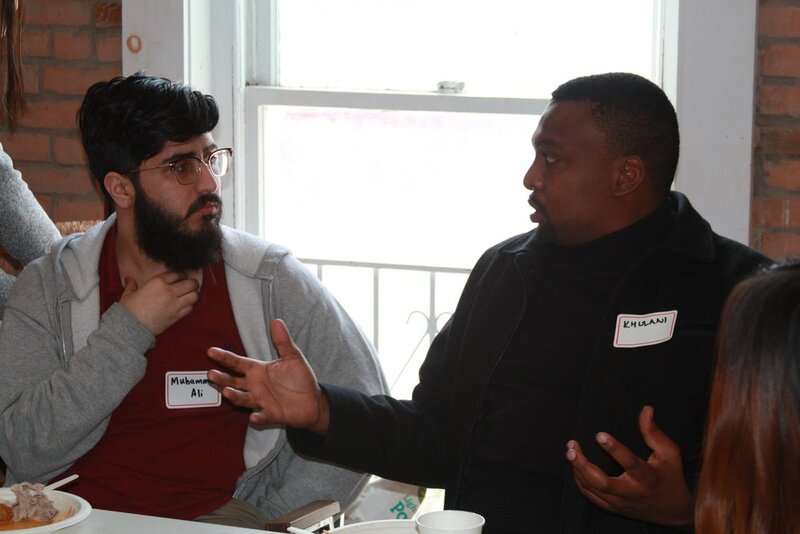 Community Voices aims to amplify the voices of the radicalized immigrant populations living in Tompkins county, to create space for storytellers to share and learn about each other's migration journeys and living experiences, and to build a more understanding inter-racial, inter-ethnic, and inter-generational community. Community Voices first started in 2016 and as time goes on it is becoming increasingly clear why this project and its message are so important. Especially now, America and the world at large are vulnerable to division and prejudice as a result of fear of the unfamiliar. Stories of our collective human experience have been used by humans for millennia to connect over similarities and relate through struggle. Our project is merely a continuation of that universal human pastime--using stories to unite rather than fabrications to divide.